Clam Pose is a wonderful upper body twist that also stretches that hard-to-reach area behind the shoulder blades. It’s a perennial favorite, and probably the most frequently requested pose in my drop-in yoga classes. (Well, next to Pigeon Pose, that is.) But Clam Pose doesn’t appear in yoga books, and web searches for “Clam Pose” come up with something entirely different. Where did this wonderful movement come from, anyway? I learned this two-pose yoga flow when I studied prenatal yoga with Margaret Pierce at The Pierce Program in Atlanta. Margaret uses this slow, gentle, upper body twist to help her prenatal students link movement and breathing in a uniquely meditative way. But rest assured, non-prenatal students enjoy Clam Pose as much as their expecting counterparts. Thank you, Margaret, for teaching me this lovely movement. Clam Pose in Five Easy Steps, with Photos Below! Rest on your right side, with your knees bent at approximately a 90 degree angle. Place a thick pillow or folded blanket under your head, so that your neck and shoulders can relax in a neutral position. Reach your arms straight out from your torso and place your palms on top of each other. As you Exhale, open the “clam shell” by reaching your left arm up toward the ceiling and over to the floor on the left side of your body. Turn your head so that your gaze follows the movement of your fingers. Mid-way through this movement, your fingers should be pointing up toward the ceiling. When you finish the movement, your left hand will rest on the floor on the left side of your body, and your head will be turned toward the left. Remain in this open position and inhale, relaxing your left shoulder down toward the floor and stretching the muscles along the front of your left shoulder. As you exhale, close the clam shell and return to the starting position, touching your palms together again. Repeat the above flow several times, then stay for a few breaths in position 4 (open clam), if desired. Then roll to your left side and repeat steps 1 – 5 with your right arm. The photos below show a student in all three positions of Clam Pose. I hope you enjoy integrating this moving meditation into your personal practice. If you’d like me to highlight other Viniyoga poses in this blog, please e-mail me at Tracy@WholeLifeYoga.com. 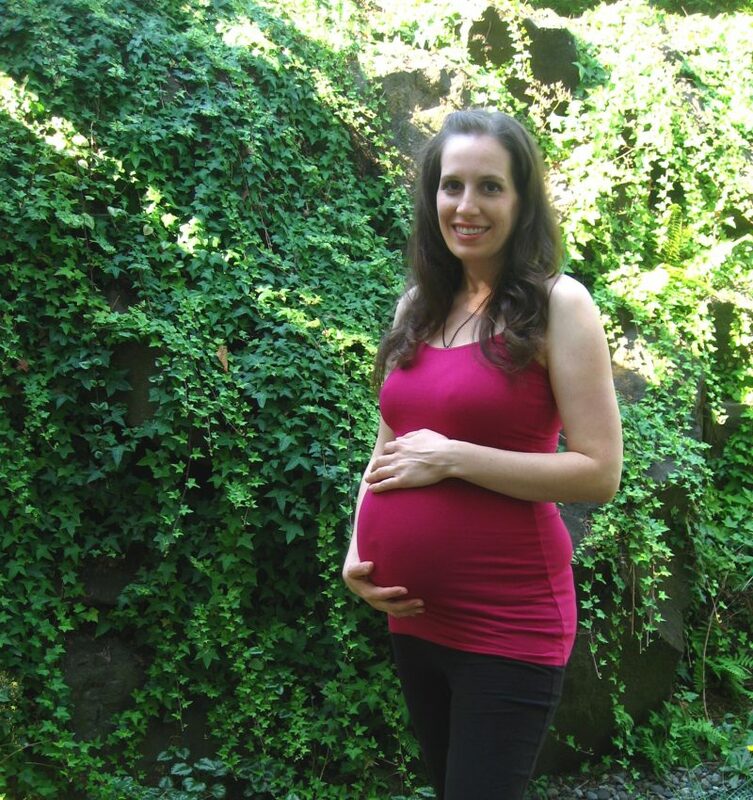 This entry was posted in Asana, Prenatal Yoga, Viniyoga on July 30, 2012 by Tracy Weber. This week’s blog entry was written by guest author Shelley Curtis. Shelley is a graduate of Whole Life Yoga’s teacher training program, and our newest prental yoga instructor! She can be contacted at sac68@earthlink.net. I started taking yoga classes after a minor back injury, partly to heal but mainly to strengthen and stretch my body to prevent hurting myself again. 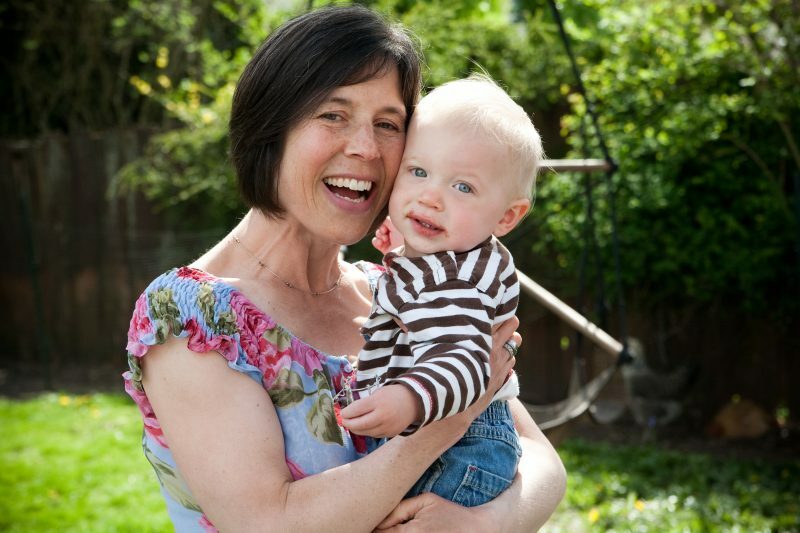 I loved the way yoga made my body feel and sensed there was more to it for my mind but didn’t understand the mental and emotional benefits until I was introduced to viniyoga just before I became pregnant with my first son (now 5 ½). After I found out I was pregnant I started going to prenatal yoga classes at Whole Life Yoga and practicing at home almost daily. This is really when I started to get the body-mind connection that yoga, especially viniyoga, has to offer. By practicing viniyoga regularly throughout my pregnancy I was able to connect with my body and my baby in a way I don’t think I would have otherwise. The breath work and linking breath and movement allowed me to be fully present and helped me to ride the emotional roller coaster of pregnancy in a much more mindful way. The same held true for labor – and motherhood. I used the same tools during my son’s birth and then again as I struggled with being a new mom. A couple of years (and many viniyoga classes) later, my dear friend and mentor, Sharon Beaudoin, urged me to consider enrolling in Whole Life Yoga’s teacher training program. I hadn’t ever thought about teaching yoga but met with Tracy anyway and decided to enter the program mostly as a way to enhance my home practice. Then came baby number two! I was lucky to experience the teacher training during my pregnancy for many reasons, one of which is that it ignited in me a passion for teaching prenatal yoga. And of course I fully experienced the many benefits of viniyoga throughout my pregnancy, labor and transition to mother of two! Yoga is such a gift for pregnant women, most of who are getting know their bodies – and their minds – in an entirely new and different way. I feel so fortunate that I get to join them as they begin their journey to motherhood. Please Join Shelley in her new prenatal class at Whole Life Yoga! This entry was posted in Asana, Guest Writers, Prenatal Yoga, Teacher Training Graduate Stories, Viniyoga on April 16, 2012 by Tracy Weber.